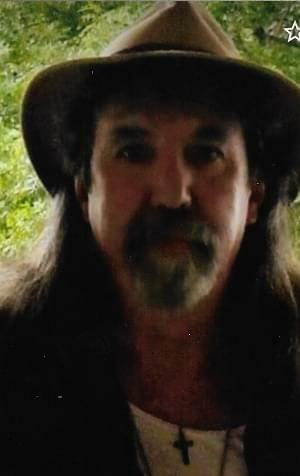 William “Bill” Webb, 50, of Mount Vernon, Illinois passed away at 4:03 A.M. February 13, 2019 at his residence in Mount Vernon, Illinois. It was Bill’s request to be cremated and a celebration of life will be held at a later time. Memorials can be made to the family in care of Helen Latchford. Call Hughey Funeral Home at 618-242-3348 or visit hugheyfh.com for further information. Bill is survived by his wife, Helen Latchford of Mount Vernon, Illinois, sons, Joshua Latchford and wife, Ashley of Sauget, Illinois, Jeffery Jimenez of Mount Vernon, Illinois, Timothy Webb and fiancé, Starla Ackley of Mount Vernon, Illinois, Nathan Webb and wife, Chrystal of Mount Vernon, Illinois, daughter, Sarah Aquilar and husband Ismael of Mount Vernon, Illinois, nine grandchildren, brother, Robert Webb of Mount Vernon, Illinois, sister, Debra Webb of Granite City, Illinois, and several nieces and nephews. He was born August 5, 1968 in Madison, Illinois to the late Ransom Webb and Constance Fraley. In addition to his parents, Bill was preceded in death by his brother, James Webb.